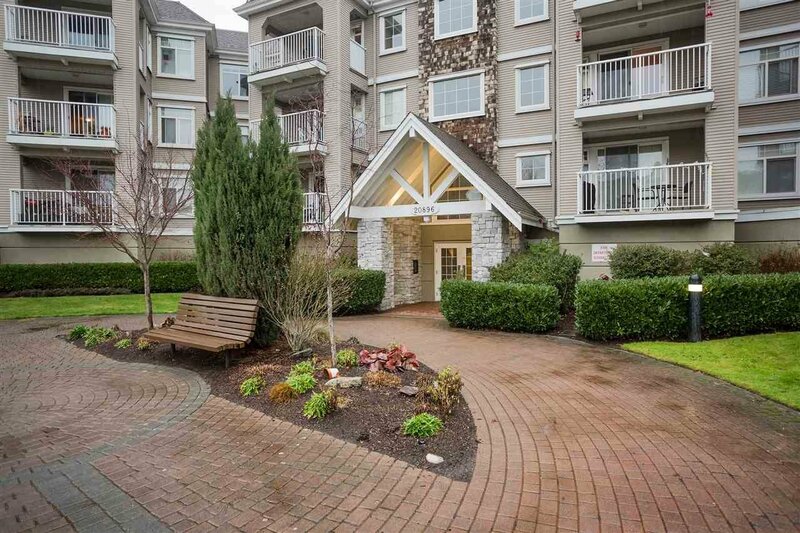 301 20896 57 Avenue, Langley - SOLD | Jenny Wun - Oakwyn Realty Ltd. Sunny, Bright South-facing Penthouse on the quiet side of the building. This updated home is move-in ready and offers two large bedrooms, two full bathrooms, plenty of in-suite storage, and an inviting gas fireplace focal point. Thoughtful layout offers separation between bedrooms and the open concept living/dining/kitchen area. Large covered outdoor space great for entertaining; overlooking the private courtyard and offering lots of natural light. Enjoy peaceful living with no one above you and only one shared wall beside. Well maintained & landscaped building for great curb appeal. Quiet but convenient location within walking distance to parks, shopping, restaurants, transit, recreation and schools. Parking and storage included.